You can use this guide to find the best mattress shopping experience in Idaho. Wondering, Where can I find a mattress store in Boise? You’re in the right spot. We looked across town for the mattress stores that provided quality customer service, and a great selection and here’s what we found. If you need to find an affordable mattress, head to Affordable Mattress Warehouse (6120 Franklin Rd.) Not only that, but the customer service here is fantastic. The sales team do not pressure you to purchase and work hard to help you find a mattress that fits your needs. In many circumstances the mattress will ship that day or within just a few day. Everything about this mattress shop is an A+! If you want to support a local business, head over to Leisure Mattress Factory (4540 S. Federal Way) where you’ll find premium American-made mattresses in a family-run shop. The owners have been in business for decades and are truly knowledgeable. If you need some niche items, definitely check here. Mattress Land SleepFIT (313 E. Lanark St.) is a great place to head if you’re struggling to get some quality sleep, have back pains from your old mattress, or simply aren’t sure what you need to best support your needs. The sales team is patient and will not push you to purchase outside of your comfort zone. There are a wide variety of mattresses here too. Mattress Firm Boise West (8600) W. Franklin Rd. is a great option for anyone looking to purchase a mattress. Like with all Mattress Firms, you have over 55 mattresses from which to choose, and there’s a 120 day guarantee. This location outshines the rest with its incredible customer service. Wondering where to find a mattress in Twin Falls? We can help. Mattress shopping is easier than ever as there are more options. That being said sometimes less is more which is why we combed through all of the top-ranked mattress shops in the area and selected only location that offer quality customer service, mattresses and affordable prices. Sleep Solutions (578 Blue Lakes Blvd N.) offers a number of name brand beds for a great price. We like the sales team just as much as their quality products at this group provides a calm atmosphere with no-pressure sales. For a no-fuss purchase, head to Sleep Solutions. Rudy’s Mattresses (126 Ramage St.) is a fantastic mattress shop. This is where to head if you are looking for a quality and affordable mattress. The sales team are all about making you satisfied with great sleep. This no-frills purchase may be just what you are looking for. Everton Mattress Factory (529 North St.) offer more than just quality name-brand mattresses. If you need to shop for more than a mattress, and want to do it in one spot, head here. The mattresses are premium and the furniture is stylish and sturdy. What’s more the sales team aren’t pushy. We recommend doing some shopping online as they may even price-match here. Another great option for a one-stop shop is Ashley Home Store (1305 Filer Ave. E.) where you’ll find a ton to choose from in terms of mattresses and other furnishings for your home. Their staff are patient and knowledgeable about their products. We think the items are more on the higher end of the price spectrum, but the quality is fantastic. If you are wondering where can I find a mattress in Coeur d’Alene? you’re in luck. There are actually a number of fantastic options for Coeur d’ Alene residents. However sometimes less is more which is why we combed through all of the top-ranked mattress shops in the area and selected only the locations that offered the best selections, prices, and customer service. Here’s what we found. National Mattress and Furniture (6235 N. Sunshine St.) is a fantastic for their incredible selection and sales team. The group are knowledgeable and really pay attention to your needs. Not only that but this location is family-run. Mattress Land SleepFIT (411 W. Haycraft Ave Ste A1) is a great option for any individual who is looking to find a solution for ergonomic issues, back pains and more. If you are trying to improve your sleep, head here to check out the myriad beds for support. If you need to find an affordable mattress and more, you could try Overstocked Mattresses and Furniture. This business provides not only overstocked items but also hand manufactured mattresses. In addition to great value, phenomenal customer service, and a great product, Overstocked Mattress and Furniture is family-run and locally owned. Are you in the market for an organic mattress? Check in at Comfort City (503 W. Appleway Ave. Ste A1.) where you will find an incredible selection for mattresses including organic all natural and toxin-free. The sales team are easy to work with and the shipping process is convenient and reliable. 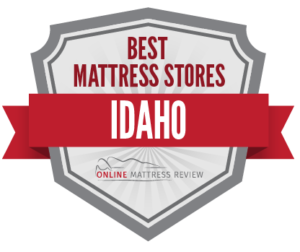 Our guide to the best mattress shops in Idaho has come to an end and we wish you all the best luck as you make this important decision.